Also published on this date: Wednesday, August 14, 2013: Maximum Shelf: Man Alive! June bookstore sales fell 9.5%, to $829 million, compared to June 2012, according to preliminary estimates from the Census Bureau. 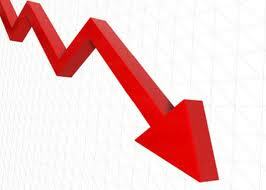 For the year to date, bookstore sales have fallen 1.5%, to $6.06 billion. This has proved an erratic year so far: sales improved in January and March over 2012, but were down in February, April, May and now June, in part because of high sales a year earlier of the Hunger Games and Fifty Shades of Grey trilogies. Total retail sales in June rose 4%, to $421.6 billion, compared to the same period a year ago. For the year to date, total retail sales have risen 3.8%, to $2,469 billion. Clair Willcox, associate director and editor-in-chief of the University of Missouri Press, is one of three finalists for the position of director, the Columbia Daily Tribune reported. The other candidates are Leila Salisbury, director of the University Press of Mississippi; and David Rosenbaum, director of product development and project management for the American Heart Association. "Each of them have differing credentials, and much of that will be vetted when we have them here as personal candidates," said Jim Cogswell, co-chairman of the search committee, adding that Willcox did not receive special treatment or consideration because of his current position. "It was an open search in every sense, and if Clair had not brought with him the required skill sets that we, the search committee, felt were needed, then he would not have been a candidate." Starting next week, candidates will be on campus "for formal interviews with constituents of the press, as well as to deliver presentations during an open forum, which will conclude with a question-and-answer session," the Daily Tribune noted. 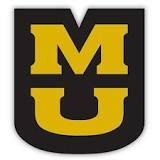 MU Provost Brian Foster said that after the campus interviews, he and the search committee will have a "very detailed" conversation about the candidates and the input given by the constituents before he makes a final decision. UM Press had been in danger of being shut down in the spring of 2012, but announced a new plan for survival last August. 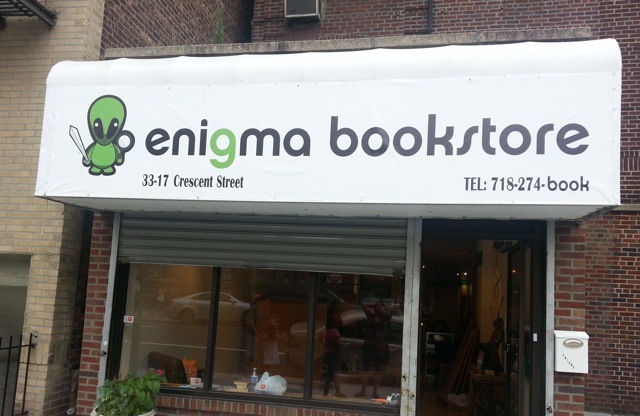 Enigma Bookstore, a new sci-fi, fantasy and mystery indie in Queens, N.Y., hosted its grand opening recently for "a growing following" of enthusiastic customers, co-owners Claire LaPlaca and Hugh Brammer told the Times Ledger, adding that even their soft opening in mid-July had been "a major success... especially because Astoria is an active area with a high volume of foot traffic." "We have had five to 10 people a day asking us, 'What are you doing?' " LaPlaca said. "A young population has been moving in, artists, poets, people interested in a bookstore. People have been coming in." Their goal "is to solidify their business as a reputable specialty store and to eventually expand and open a second store that will focus on three other genres, one of which may be sports," the Times Ledger wrote. "People need to feel comfortable and sit and read," LaPlaca noted. "They have a place now they can call home. Bookstores in this economy may seem irrelevant. They're not. People still crave them." 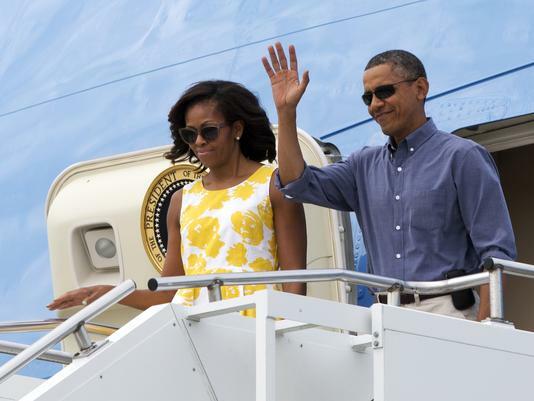 Thus far on their presidential summer vacation to Martha's Vineyard, Barack and Michelle Obama have not made their annual indie bookstore pilgrimage. Whether this has anything to do with his controversial appearance recently at an Amazon warehouse is speculation best left to political pundits. Meanwhile, the bookshop watch continues. The Vineyard Gazette noted that there had been "hints of a bookstore outing" with rain in the forecast yesterday. If and when the Obamas do go book shopping, Susan Mercier, manager of Edgartown Books, "has selected some titles for the whole first family" and the shop's cafe, behind the bookstore, "also has prepared the btbama: an iced coffee with four shots and grapefruit zest, a drink guaranteed to fuel several rounds of golf." "I wish he would," Mercier told the Boston Globe. "But we haven't seen him." HarperCollins is selling a 277,000-square-foot distribution center in Nashville it had acquired as part of its purchase of Thomas Nelson. The Tennessean reported that the distribution center "is expected to be shut down by next spring, idling 102 employees." The 248 employees with HarperCollins Christian Publishing, which includes Thomas Nelson, "will remain at the unit's headquarters in an adjacent building." Last November, HarperCollins announced plans to enlist R.R. Donnelley & Sons Co. to handle warehousing and distribution services for all of its titles nationwide. Children's author Claire Mackay, who was a co-founder of the Canadian Society of Children's Authors, Illustrators and Performers, died August 11, Quillblog reported. She was 83. 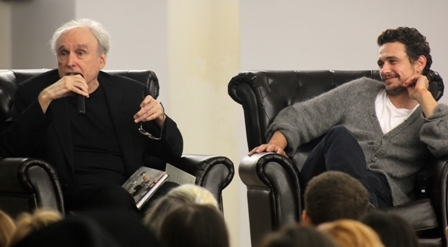 More than 400 fans came to the Strand Book Store, New York City, this past weekend to hear actor/director/screenwriter/author James Franco in conversation with Frank Bidart on Franco's new memoir, A California Childhood (Insight Editions), followed by a book signing. Designer Andrew Colin Beck spoke with Fast Company about his brand redesign project for Manhattan's Idlewild Books, which "is now wearing a fusion of this combined literary and tourist legacy on the sleeve of every book they sell.... The assortment of price tags, envelopes, bookmarks and business cards that Beck came up with for Idlewild look like the splayed-out contents of Roger Thornhill's travel wallet in North by Northwest. 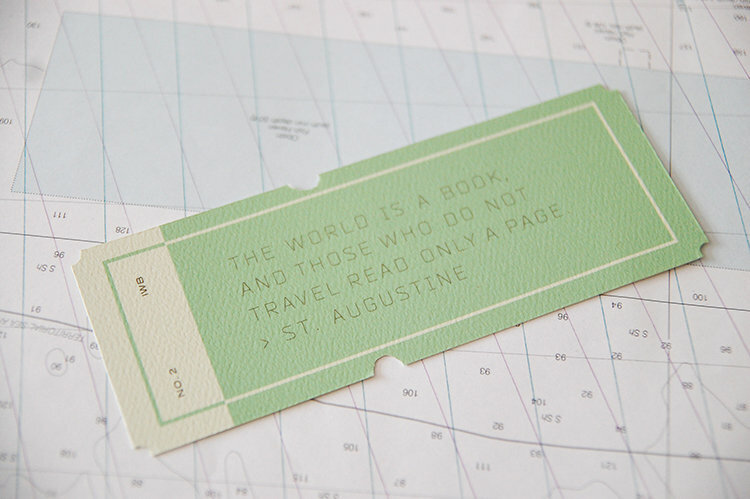 It's beautiful work evocative of the golden age of travel." "I'll let you in on a secret," said Beck. "I'm not the first designer to brand a company after old airplane tickets and maps." The concept began when he was completing an internship last summer and was asked to rebrand a company as part of a school project. "Often, I find that brands have a super rich visual culture hiding deep below the surface that they're not capitalizing on," Beck observed. "Visually, Idlewild's existing branding didn't say anything about their rich heritage or connection to travel. So I started to mine that heritage and bring it to the surface.... As I was working on the design, I was looking at a lot of topographic and flight maps searching for little pieces of visual language. I love compass roses, and keys and mile-markers. Those sorts of cartographic symbols gave me a lot of inspiration." Once his project was finished, he showed it to Idlewild owner David Del Vecchio, and in what Beck calls "a moment of uncharacteristic good fortune," the bookseller "loved the design and immediately got in contact with Beck to roll it out to his stores," Fast Company wrote, noting that the Idlewild re-branding "has been a huge success, not just for the bookstore itself, which has been met with a surge of new interest since Beck's designs hit the web, but also for the designer." On his blog, author Jamie Ford has an offer for readers who order Songs of Willow Frost (Ballantine, September 10) in advance at their favorite independent bookshop. "I love bookstores," he wrote. "I love them. So to support fine bookstores everywhere, I'm giving away an exclusive short story ["Middle, Lost, and Found"] to anyone who boldly ventures into their local bookery and pre-orders Songs of Willow Frost (or pre-orders online from an honest-to-goodness brick-and-mortar bookstore)." He will add a signed bookplate for those who send him their mailing address along with "a pic of your receipt or order confirmation, or heck--just send me a photo of you smiling with your friendly neighborhood bookseller." Ford added: "Books are a physical record of the human condition. And people who maintain these records deserve our support. Though I'm somewhat biased because I met my lovely wife at the public library and later dropped to one knee and proposed in a bookstore. (You can't do that on a Kindle)." After Hurricane Sandy last year, New York City's librarians "helped thousands of people fill out relief forms, connect to the Internet and make plans to rebuild," NPR noted in its report on how libraries nationwide "have served as crucial hubs for information and help in the aftermath of hurricanes and tornadoes." FEMA "classified libraries as an essential service--like one of the things that would get early funding so that communities could recover," said Jessamyn West, a librarian in Vermont. "People are finding in the wake of the natural disasters that we've seen--lots and lots of flooding and hurricanes and storms and tornadoes--that getting the library up and running with Internet connectivity or air conditioning or clean bathrooms or a place that you can plug in your phone really has benefit to a community that's in a recovery situation." 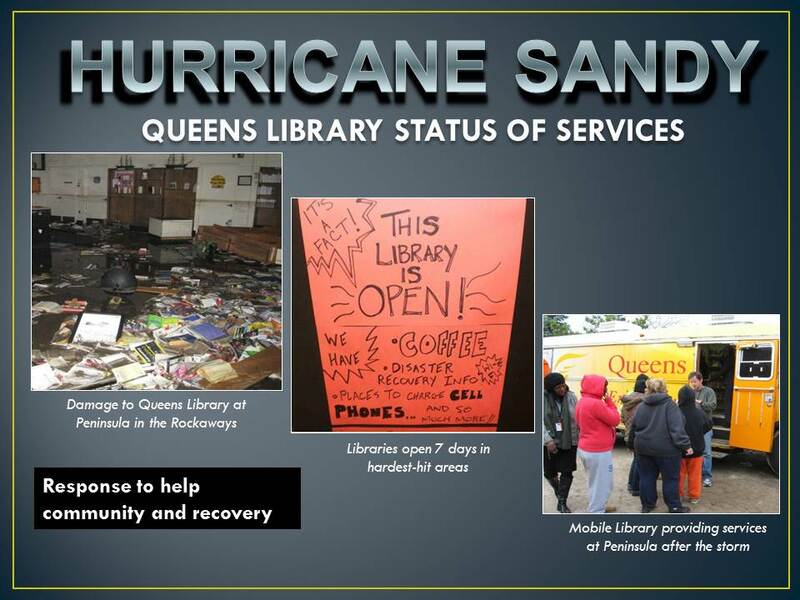 NPR reported that although the New Dorp branch of the New York Public Library in Staten Island wasn't damaged by Sandy, "just a few blocks away, houses were inundated with as much as 16 feet of water. And days after the storm, many of the library's patrons still lacked the most basic services." "We even had people asking if they could use the restrooms to clean up a little bit," said Barbara Byrne-Goldie, a librarian at New Dorp. "They still didn't have running water, or hot water. So we came in very handy as community centers, that's for sure." Larry Gets Lost in Prehistoric Times: From Dinosaurs to the Stone Age by Andrew Fox and John Skewes, illustrated by John Skewes (Sasquatch). Tomorrow morning on the Today Show: Jennifer J. Thomas and Jenni Schaefer, authors of Almost Anorexic: Is My (or My Loved One's) Relationship with Food a Problem? (Hazelden, $14.95, 9781616494445). Tomorrow on KCRW's Bookworm: Andrew Sean Greer, author of The Impossible Lives of Greta Wells (Ecco, $26.99, 9780062213785). As the show put it: "When the title character of Andrew Sean Greer's The Impossible Lives of Greta Wells undergoes electro-convulsive therapy, she finds herself traveling through time--not to revisit past lives, but to reopen once-possible futures. Greer talks candidly about his heroine's late wish to escape the troubled 1980's, his experience inhabiting a female narrative voice, and the gender traveling implicit in his latest novel." Tomorrow on Ellen: Gwyneth Paltrow, author of It's All Good: Delicious, Easy Recipes That Will Make You Look Good and Feel Great (Grand Central, $32, 9781455522712). Tomorrow on NPR's Diane Rehm Show: Ricky Skaggs, author of Kentucky Traveler: My Life in Music (It, $25.99, 9780061917332). Tomorrow on PBS's Moyers & Co: Mark Leibovich, author of This Town: Two Parties and a Funeral--Plus, Plenty of Valet Parking!--in America's Gilded Capital (Blue Rider, $27.95, 9780399161308). TV: The Tin Man Needs a Heart... Stat! CBS has put in development Dorothy, a "medical soap based in New York City inspired by the characters and themes" of L. Frank Baum's The Wonderful Wizard of Oz, Deadline.com reported. Emily Fox (Ghost Whisperer) will write the script and executive produce with Carl Beverly and Sarah Timberman, who "brought Sherlock Holmes to New York for CBS" with the popular series Elementary. The Syfy network is also currently developing Warriors of Oz, "a mini-series project from Wanted director Timur Bekmambetov that is described as a fantasy-action reimagining of the classic story," Deadline.com noted. Described as a "reading list that mixes low deeds and high hopes," the longlist has been announced for the £30,000 (about US$46,382) Financial Times & Goldman Sachs Business Book of the Year. The shortlist will be revealed in September and then the winner named in November. You can find the complete longlist here. Nominations have been made for the nine categories for the 2013 World Fantasy Awards, which can be viewed here. Winners will be announced at this year's World Fantasy Convention, which takes place in Brighton, England, October 31-November 3. 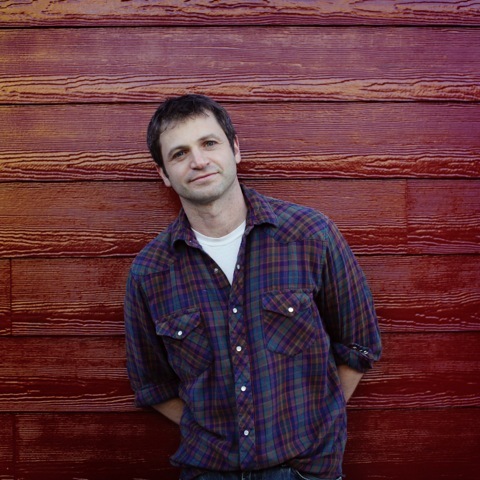 Peter Orner is the author of Esther Stories, The Second Coming of Mavala Shikongo and Love and Shame and Love. His writing has appeared in major periodicals, as well as in The Best American Short Stories and The Best American Non-required Reading. Orner has received the Rome Prize from the American Academy of Arts and Letters, the Goldberg Prize for Jewish Fiction, a Guggenheim Fellowship and two Pushcart Prizes. His new collection of stories is Last Car over the Sagamore Bridge (Little, Brown; August 6, 2013). Orner is a professor at San Francisco State University and lives in Bolinas, Calif.
Amsterdam Stories by Nescio (translated by Damion Searls). If I love a book, I read it forever. Over the past couple of years since it came out, I've been reading and re-reading this jaw-droppingly good book of stories by this Dutch writer for the past year. The man died in 1961, and though he is rock star in Holland, he has not been translated into the U.S. until now. Deceptively simple, modern, unpretentious and often hilarious--few stories in recent years have moved me as much as these. Here's the famous opening line of the first story in the book, "The Freeloader": "Except for the man who thought Sarphatisraat was the most beautiful place in Europe, I've never met anyone more peculiar than the Freeloader." The brilliance of this sentence is hard to explain, and god knows where Sarphatisraat is (I assume it is like saying Gary, Indiana, is the most beautiful place in America and who is to say it's not? ), but the point is that a sentence like that cues a reader, here's a writer who is going to talk to me, not at me. Hence, a permanent place on my night table, which also has on it Randall Kenan's Let the Dead Bury Their Dead, another masterful and totally unique story collection I read and re-read; Stella Adler on America's Master Playwrights; Chekhov's Letters; and Aleksandar Hemon's Love and Obstacles, which I'm going to start tonight. Roald Dahl's James and the Giant Peach. Do I even need to elaborate here? Your parents get killed by a rhino, you're raised by evil aunts, you end up living in a huge hollowed-out peach pit in Central Park.... What more could you want out of life, let alone a book? Eudora Welty, Isaac Babel, Virginia Woolf, Dickens, Malamud, Faulkner, Melville, Hawthorne, Ralph Ellison, Saul Bellow, Andre Dubus, Marilynne Robinson, James Alan McPherson, Wright Morris, Joseph Mitchell, Edna O'Brien, Bohumil Hrabal, Mavis Gallant, Gina Berriault, Juan Rulfo, William Maxwell, Frank O'Connor, James Salter, Mordecai Richler, Zbignew Herbert, Italo Calvino, Borges, Dambudzo Marechera, Henry Green, Kafka, damn, how many is this? Sorry. Chekhov, how did I forget him? This is a totally impossible question. Dora the Explorer's Search for the Seasons. I hate Dora, I hate Diego, I hate Boots, I hate the f***ing Map. The only one I can actually tolerate is Swiper, who steals s**t from Dora and her friends. I fake read this to my daughter often by changing the words and skipping pages when she gets drowsy. Alas, she loves Dora, sleeps in a Dora blanket, etc. One day I will burn the book and blanket in the fireplace. I've long been a very unsuccessful evangelist for Wright Morris's Plains Song, not to be confused with Kent Haruf's Plainsong (a fine book) but Morris's, which won the National Book Award in 1981 (this didn't help alleviate its obscurity) is one of the most achingly beautiful novels of our age. I feel as close to, and as strongly about, the characters in Plains Song as I do about my own family. Few people seem to read Morris much anymore. When I meet someone who does, I cling to them like a lost brother or sister. I once did a pilgrimage to the Wright Morris House in Central City, Neb. The tour guide (who came over from her day job in an insurance office) thought I was a little nuts. She said, "This isn't Graceland." I just recently tore through James Lasdun's Give Me Everything You Have: On Being Stalked. It's got a nice, simple-to-the-point cover. I'm not a big reader of memoirs; they often seem too cooked up for me. But this one, which I'm certain Lasdun wishes he hadn't needed to write, was captivating and completely upended my expectations about what a memoir can be. Lasdun's life is interesting in the way a train coming right at you is interesting. And though there were times I was annoyed by Lasdun's willful blindness to what was truly happening with his former student, overall I found the book humble and brave, a lucid and humane meditation on terrors that are modern and at the same time age old. Also, it's got some terrific writing about Sir Gawain and the Green Knight, which, by the way, is another book I've faked having read. In college. In Professor E.L. Cloyd's class. After Lasdun's book, I want to go and actually read it. Can I draw an arrow from this question to that other one above? I can't. Another bad thing about this era, we don't really draw arrows to connect things anymore. Did I mention Plains Song by Wright Morris? Just for fun (why did I think this would be fun?) I looked up the book on Goodreads and had the pleasure of reading what other people think of my touchstone. I guess I thought I'd find some kinsmen. "I didn't enjoy this dull book with underdeveloped characters and wonder why I bothered to finish it." Never again. It's a book that strikes me deep in the gut and it pains me to imagine another reader not feeling the same way. But this is exactly why I read--and don't belong to a book group--because reading is the most individual thing there is. Why collectivize it? Didn't we have enough bad English teachers in school? Crowd sourcing and literature shouldn't mix, and so I cling to my copy of this cherished book. Did it change my life? Yes, because it showed me, as no book I've ever loved ever has how the whole point of a story--the only point really--is to create characters that will sear into a reader's brain for good, for all time. Not a crowd of readers. One reader. "If I were a politician, I would never traduce the present for the sake of the future, even if an ounce of falsehood were to guarantee me a hundredweight of bliss." --Chekhov in a letter to Alexey Suvorin, 1 August 1892. Chekhov is angry that a cholera outbreak--he's working as a cholera doctor--might be used as an occasion by the people he calls "our socialists" to use this health emergency to score politician points. James Salter's novel Light Years. With his new book, All That Is, Salter has had some much overdue adulation of late. Focus on his novels, I think, overshadows his more remarkable short stories. When Salter holds it up, when he leaves you in the lurch, that's when he's nearly unsurpassable. You end a Salter story and you go into free fall. It's often said that it's Salter's sentences that make him so distinct. I agree, but only sometimes. I think it is more about his people. Sometimes his sentences collapse under the weight of their own beauty and that's not beauty. It was a sentence that made me throw Light Years across the room. There was something too absurdly luscious about it. I picked the book back up because of the characters, though they drove me bananas. I had begun to care for them, and there's no taking that back. Ever. At least in literature. Elizabeth Wein revisits the role of women in World War II in Rose Under Fire, a worthy companion to her Code Name Verity. Linked by Maddie, the pilot friend of Verity in the earlier book, Rose Under Fire follows an 18-year-old American and amateur poet named Rose Justice, who works as an ATA pilot based in Britain in the final year of the war. Rose dreams of being a combat pilot but spends her days ferrying supplies and personnel. Thanks to her uncle, a Royal Engineer, she is selected for a secret mission to fly into newly liberated France. In the middle of her return flight, Rose is intercepted by two German planes and forced to land in occupied territory. Wein jumps forward to the aftermath of the war, to Rose's flashbacks of what happened after she landed. To Rose's horror, a series of linguistic and clerical errors results in her imprisonment in Ravensbrück, a women's concentration camp. Her survival depends upon both the cruelty of her captors and the humanity of her fellow prisoners. Rose meets women who become like family: loving "Camp Mother" Lisette, amateur filmmaker Karolina, Soviet fighter pilot Irina, and Róża, an impish teen. Over the next six months, they endure hardship, hunger and humiliation. Shelf Talker: In Elizabeth Wein's gut-wrenching World War II companion to Code Name Verity, an American pilot struggles to survive imprisonment in Ravensbrück.